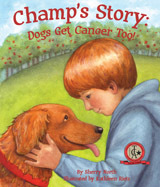 If you’re a parent of young human kids and aren’t sure how you’ll explain your family dog’s cancer diagnosis to them, here’s an adorable new book for kids in grades 1 through 3, “Champ’s Story: Dogs Get Cancer Too! 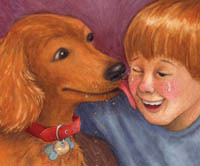 This picture book tells the story of Champ, an agility dog, and her best friend Cody. When Cody finds a lump on Champ and she is later diagnosed with cancer, Cody learns all about this mysterious condition called cancer. Through the treatments and recovery, Cody learns how to become a loving caregiver and stay positive through it all. 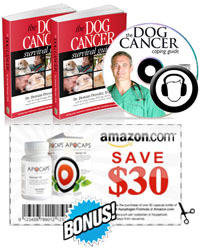 Champ’s Story: Dogs Get Cancer Too! 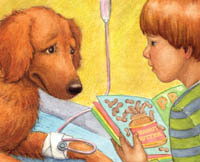 is a straightforward tale that makes it easy for young kids to grasp the concept of cancer in pets as well as people. It’s not scary or sad, and the author has even included a primer for parents to discuss this subject with kids.